Nope. You don’t. It’s impossible to have acceptable speed and dozens of plugins at the same time. You should exchange some of your plugins for few lines of code, static HTML preferred. You can see a good example in my previous article about a Stay connected box for WordPress without a plugin. A few lines of hard coded snippets can save you from the unknown plugin codes – which by the way can be also dangerous (can contain unknown errors). 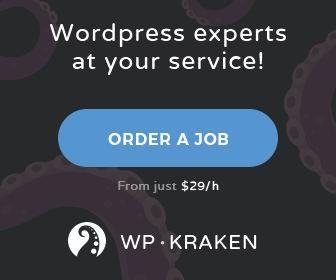 Plus what if a newer version of WordPress comes out and breaks some of your plugins? You will have to wait for upgrades. Try to self-code as much functionality as you can. The unnecessary code amount of plugins will slow your site down, a lot. Nope. Or if you do, then you should consider porting your SQL server to a redundant host (expensive). Querying hundreds of thousands of records takes time. You need Caching. There are lot of caching solutions on the market, you can read about it in the next chapter. Avoid complex queries – some templates/plugins use very complex queries with no caching to retrieve data from your database. An unoptimized “SELECT .. WHERE content LIKE %xy%” type of queries with no limits are dangerously slow. 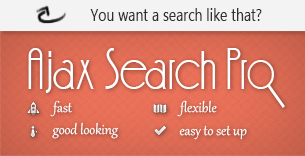 Try to use “MATCH AGAINST…” instead with the proper indexes if possible. That’s it. There is lot more to this topic, but this should be a good starting point for those, who want faster WordPress sites. I disagree that “too many plugins” will bog down your site. Suggesting there’s an arbitrary number (e.g., 24 plugins is good, but 25 is bad) is misleading. It’s not about the quantity of plugins, but rather the quality. Are the .js and .css scripts being enqueued properly? Things like that. I have a site that has 56 plugins, and *all* pages load in under 2 seconds. Lastly, many people think they found a pot of gold when they google their issue and a tutorial tells them to add a snippet of code to their child theme’s functions.php file. But in essence, that’s the same thing as adding a plugin. In short, when you’re installing a plugin, look at the reviews; look at what people are saying (or aren’t saying); scope out the author’s other works. Does he/she support the plugin? Does he/she maintain it? I do agree, however, that too many people either neglect caching completely (a mistake), or cache too aggressively (a mistake). A caching plugin such as the one you mentioned, W3 Total Cache, will be just fine — although some caching plugins add too much junk to your htaccess, which can bog down your site.